Wrecking Ball, the newest addition to the FPS, uses a grappling hook and momentum to swing and roll around the arenas. Pharah takes flight. Lucio can wall-run. It makes you wonder how the game’s maps are even created to cater to a world where the roster is always increasing and, potentially, anything can happen. Often in game development, facades are put up in places where the player can’t reach, to save on memory cost. 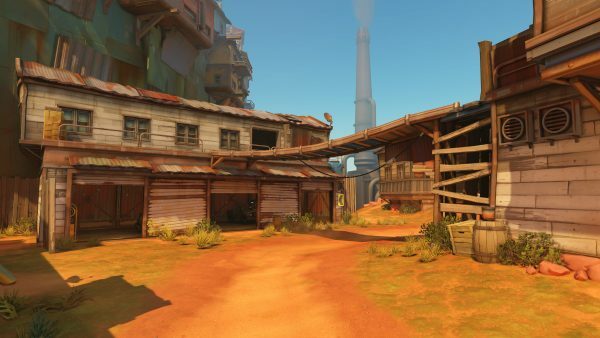 For Overwatch, this wasn’t possible because a future hero might have some new movement ability that allows them to reach somewhere unexpected, forcing Blizzard to rework entire maps. Even though Blizzard has done its best to future proof its maps, there could still be a few blind spots when new heroes enter the fray, of course. Maps may not make the most out of their abilities, or perhaps they could even hamper them. If that happens, Blizzard will step in. “We’re not against making tweaks in the future here and there, if it can help a hero,” Goodman explains. “One of our level designers has been a Wrecking Ball main since the second he existed. He usually played Reinhardt and always charges in. He loves that charge button. If you play Reinhardt, you have to be very careful when you push that button because you’re really committing, but he will just go in. He loves it. Then Wrecking Ball comes around and he’s like, ‘Perfect’, because he’s all about jumping in there. More Overwatch? Read about the upcoming Torbjorn rework here.